As we head past atmospheric levels of CO2 beyond 410ppm and planetary temperatures 1.5C (2.7F) above preindustrial levels, some firms are looking to the stars for a new civilization and fresh business opportunities. To get there, these businesses will need new technologies, such as additive manufacturing (AM). Here are just 6 companies currently leveraging 3D printing to change the way that humans will get to and operate in space. 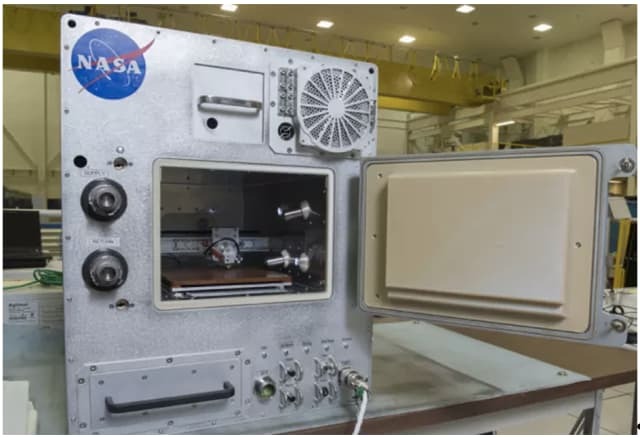 Perhaps one of the most well-known 3D printing firms in the NewSpace space, Made In Space (MIS) was the first company to send a 3D printer to the International Space Station (ISS). And the company did it twice. In addition to a demonstrator unit, MIS also sent a commercial 3D printer to the ISS, where it takes orders from customers on the ground. Recently, MIS was also awarded a grant to develop a hybrid metal 3D printer that will be sent to the ISS. Though the immediate goal for MIS is to fabricate small parts in space, the ultimate objective for the company is to be able to construct large-scale objects, such as satellites, solar arrays and even a module for the ISS itself. To do so, the company is working on the Archinaut, a 3D printer and assembly system that fabricates rods that are then joined together using robotic arms and machine vision to create larger objects. Read our interview with MIS President Andrew Rush here. NewSpace veteran Tethers Unlimited (TUI) is also developing a 3D printer for the ISS. Dubbed the Refabricator, this machine doesn’t just 3D print goods, but it recycles them, too. And it can do so using one of the strongest aerospace-grade plastics in the industry: ULTEM. Rather than grind the plastic up into fine bits, as occurs with plastic recycling on Earth, the Refabricator’s Positrusion process melts the material down. On long-duration voyages, the technology could be used to produce urinal funnels, ear specula, or other items that typically need to be discarded after use. With a dry heat sterilizer integrated into the Refabricator, it would be possible to recycle such items, which would both save material and lighten the cargo load otherwise taken up by prefabricated objects. TUI also hopes to 3D print large-scale objects in space using its Trusselator technology, seen in the video below. To learn more, read our interview with TUI CEO Rob Hoyt. 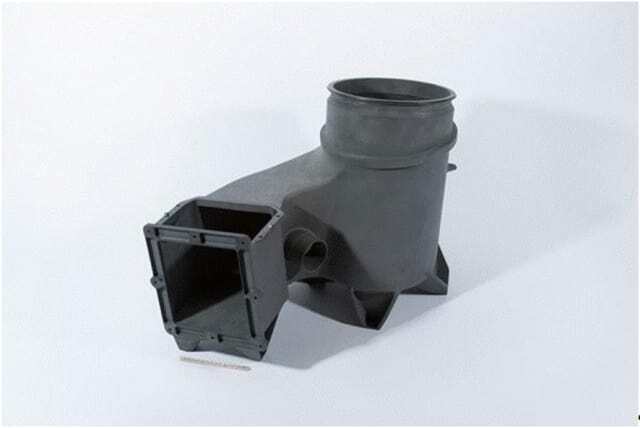 British aerospace firm GKN Aerospace has developed a keen expertise for 3D printing critical components, including over 50kg of metal 3D-printed parts for the Vulcain 2.1 demonstration nozzle. 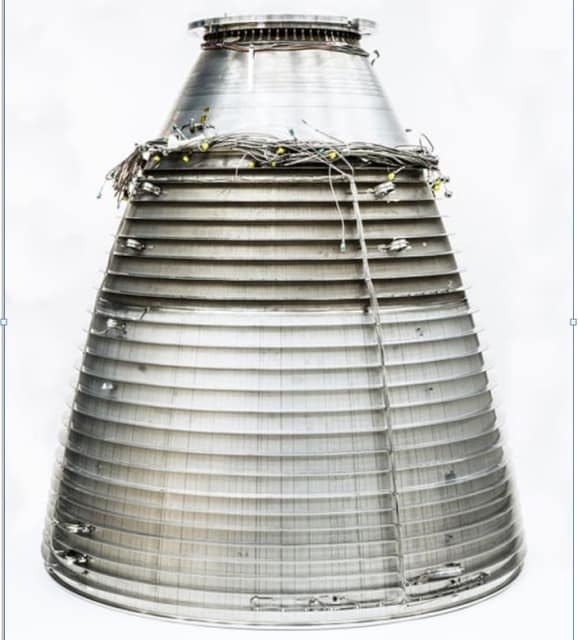 This nozzle will be integrated into the satellite carrying Ariane 6 rocket, developed by Airbus Safran Launchers and scheduled for launch in 2020. To create the 2.5m diameter nozzle, GKN used laser welding and laser metal deposition. In addition to using AM to reinforce the structure of the nozzle and join parts, key structural features were printed onto the nozzle, reducing the part count on the nozzle from about 1,000 parts to just 100. This resulted in a 90 percent drop in part count, a 40 percent reduction in costs and a 30 percent reduction in production time. 3D printing stalwart Stratasys has established itself in aerospace, delivering numerous 3D-printed plastic parts to Airbus for use on the A350 aircraft. The company will also be sending numerous 3D-printed parts to space. The company will be partnering with Lockheed Martin and Phoenix Analysis & Design Technologies on the construction of the Orion space capsule, which is destined for the moon and Mars. Over 100 parts will be 3Dprinted for the spacecraft using an electrostatic dissipative version of Stratasys’ Antero material. A form of polyetherketoneketone (PEKK), Antero800NA has the mechanical, thermal and chemical properties necessary for space travel. 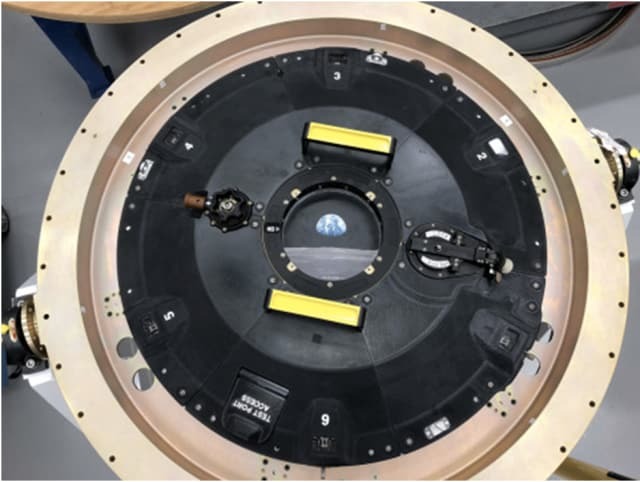 Among the parts likely to be printed is a critical assembly, made up of six interlocking 3D-printed components, situated just outside of Orion’s docking hatch. A pioneer in 3D printable PEKK, Oxford Performance Materials (OPM) is 3D printing its own PEKK parts for a comparable spacecraft project led by Boeing. The Boeing CST-100 Starliner spacecraft is designed to carry up to seven passengers to low-Earth orbit destinations like the ISS. OPM will contribute its expertise to 3D print over 600 PEKK parts for the spacecraft. While some firms may be working to 3D print pieces of rocket engines large and small, Relativity Space is aiming to 3D print entire rockets. To achieve this, the startup developed what may be the world’s largest metal 3D printer, which combines a metal deposition head with a milling head to create near-net-shape parts that are then milled to their final shape. Founded by Blue Origin alum Tim Ellis and SpaceX alum Jordan Noone, the company has already created a number of parts, including a full-scale combustion chamber nozzle igniter and a full-scale fuel tank for the rocket upper stage measuring 7 feet in diameter and 14 feet in height. The engine has undergone 100 hot-fire tests, and the company plans to assemble a large printed tank structure and rocket structure, including the engine, to perform a combined test in 2019. There are a number of other companies and organizations working toward NewSpace 3D printing, including SpaceX and Blue Origin. You can also look to the nonprofit world to find projects, such as Enterprise In Space, that combine 3D printing and space technology. Mention your favorites in the comments below!